You can use everything from a reward system to threats to encourage your child to read, but what is the most effective way? The answer really depends on your child and parenting style, but here are a few different options that you should consider trying out to get your child to really enjoy reading. Let your child See you read for pleasure.Reading doesn’t have to be a chore for children or for adults. Go to the library with your child, and check out a book you would enjoy reading. It doesn’t matter what you’re reading. Read a children’s book if you think you’ll like it. 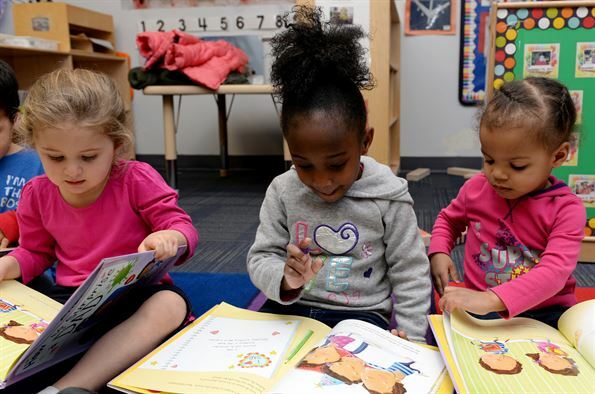 The point is to show your child that reading is an activity that can be enjoyable and fun. Help your child find Interesting topics to read about. Whether you find books at the library or read articles online, find texts that are about topics your child likes. For example, if your child likes to learn about volcanoes, look up volcanoes online, and read to your child from an article about them. Have your child read one sentence and you read the next. Your child may also just want to read all about them themselves and then report back to you what they learned about. Pick texts that are appropriate to your child’s reading level. If you’re not sure what level of books your child is reading, discuss it with their teacher. Pick a book, article, or other text you think your child would enjoy, and then ask the teacher whether they think your child could read it. A good rule of thumb is that if there are more than five words your child can’t read on the first few pages, then the book is too hard. Reading something above their reading level can make kids not want to read because it becomes too frustrating. Read to your kids often. Read books to your child that they find interesting regularly. You can also find books at the library with the help of the children’s librarian that are written so that the parent reads one page and the child the next page. They may be called “read-with-me” books, or something to that effect. By making reading an enjoyable habit at home, your child can grow to enjoy reading as a part of their daily lives.